A woman dedicated two years of her life to saving an orphaned deer - and now she's trying to stop the state from killing him. 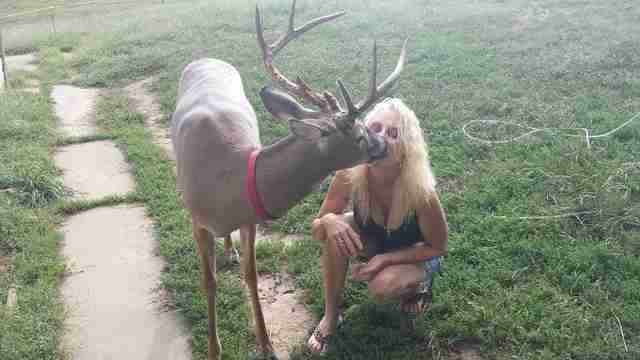 Back in 2013, Jodi Proger was driving down the highway when someone a few cars in front of her crashed into a mother deer. 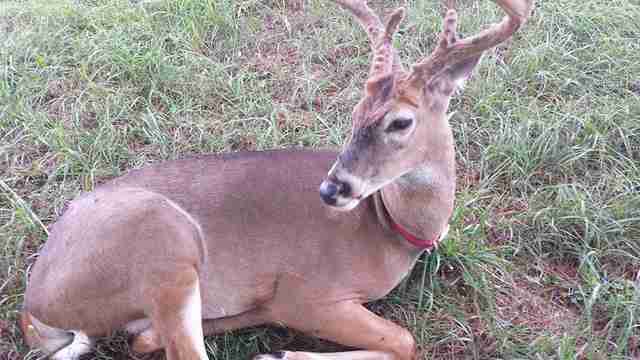 The deer died, and her days-old fawn was circling her body in a panic. "He was running back and forth, back and forth," Proger told The Dodo. Proger kept driving, but a few yards down the road she glanced in her rearview mirror. The little fawn was still running around in terror, nearly getting hit by other cars. Proger knew what she had to do. "I wasn't gonna do it but I did it," she said. And so she ran back, scooped the frightened little deer up, and took him home with her. 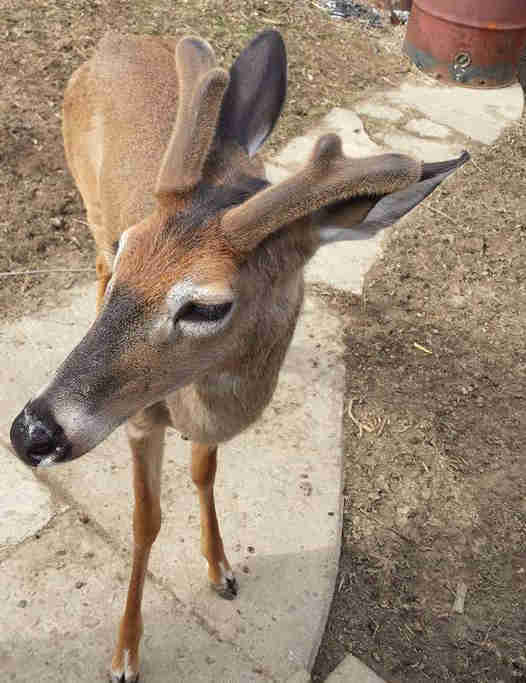 Proger, who lives on a 5-acre farm with her husband and horses, said there aren't any deer sanctuaries in Ohio, so she knew she was his only chance. 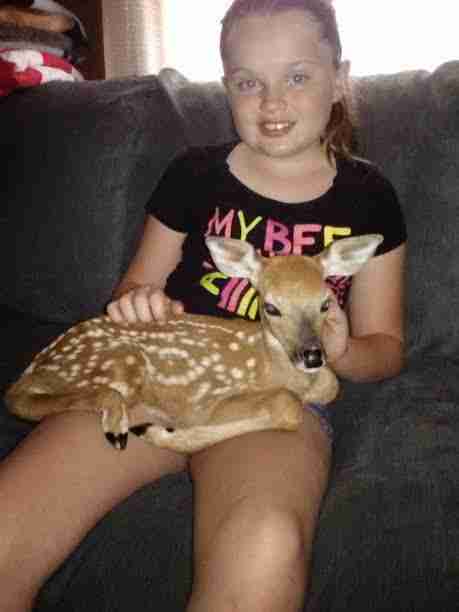 She raised the little fawn, whom she named Wheezer, on her own, feeding him every few hours for the first months of his life. The pair quickly bonded, and ever since, Wheezer has been a part of Proger's family. 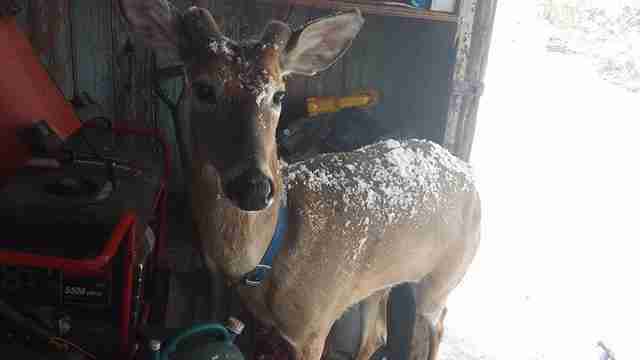 The 2-year-old deer is housebroken, so he can go in and out of the house as he pleases. He prefers to spend the day outside in the yard; he's on a 100-foot dog tether when he's not supervised, but Proger and her husband hope to complete a new enclosure for him next week. 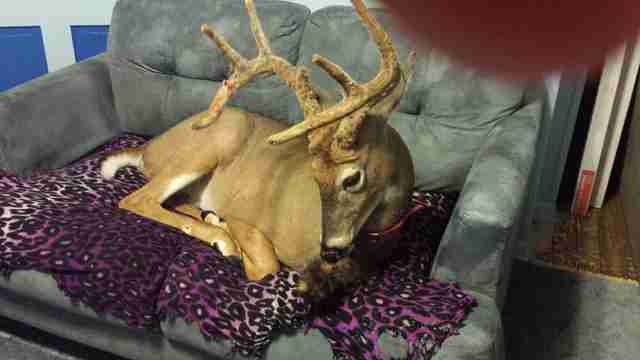 He likes to sleep indoors with the family, so around 10 p.m. every night he comes inside to get ready for bed. "He'll climb up on the loveseat and he'll watch a little TV and he'll crash on the loveseat," Proger said. He's also smart. Wheezer usually has to go to the bathroom in the middle of the night, so he wakes Proger up around 3 a.m. so she can open the door for him. Afterwards, she gives him a bit of banana and milk as a nighttime snack and then he climbs back on his loveseat to sleep until morning. And Wheezer has bonded with the other family members as well. "Him and the dog will lie on the floor with each other," Proger said. "He loves the cats - he licks them to death." "We've had him a little over two years with no problems, no complaints from any of our neighbors, nothing," she added. All that changed a month ago. Wheezer was out roaming the yard when he saw an officer who was supervising a group of prisoners as they cleaned up the highway. Wheezer, who doesn't like anything new in his environment, was standing at the end of his tether staring down the man. The man was staring back. Proger had an inkling that something was wrong. Sure enough, officials with the Ohio Department of Natural Resources (ODNR) showed up shortly after to tell Proger that she was violating the law by keeping Wheezer. "They weren't mean and nasty to me," Proger said. "[But] I cried and cried and cried." Proger begged them to return to the office and pretend they saw nothing, but they refused. However, they left after an hour without taking the deer. 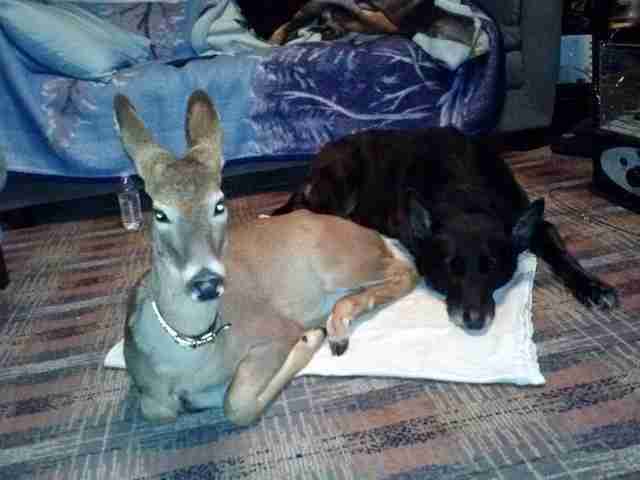 Like most states, Ohio has laws protecting wildlife, and it's illegal to keep a wild deer as a pet. But the absence of sanctuaries, or compassionate wildlife resources, means people like Proger can be stuck between a rock and a hard place. "Ohio has no sanctuaries whatsoever," Proger said about the state's handling of wildlife. "Their only thing is to come in, take them and kill them." Though it's not ideal for a deer to live in a domestic situation, Proger knows that she was - and is - the little fawn's only chance at survival. 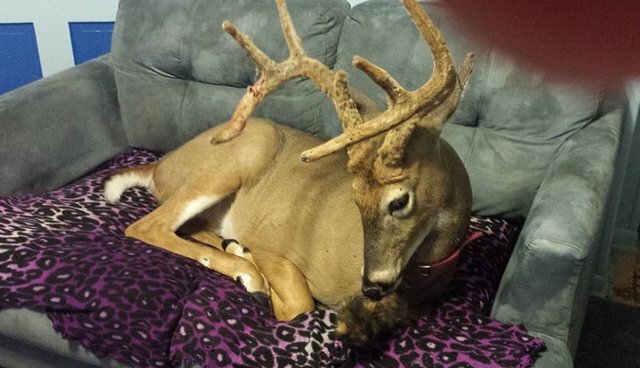 "No one ever told me it was illegal to have a deer," she added. "No one!" She reached out to Ohio state senator Lou Gentile (D-30), who helped stall the ODNR. "He got the kill order off of Wheezer's head, but they're still debating what to do with me and Wheezer," she said. Proger hopes to get an exemption that would allow her to provide a home for Wheezer since no others are available, and she's hoping the state will take the circumstances of his rescue into account. There have been at least two similar situations in recent years where exemptions have been granted. "I am just so amazed and so much in awe of the support I have received," Proger said. "I am so, so grateful." But for now, she's just focused on caring for Wheezer - like she has been since he was first orphaned two years ago. "He's very loving," she said. If you'd like to help, you can sign an Ohio SPCA petition asking Ohio Gov. John Kasich and other state officials to spare Wheezer's life. You can also contact the governor's office here.